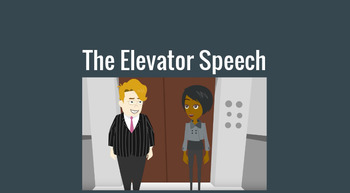 This lesson provides video and written guidelines for writing an elevator speech. The tutorial is provided as a pdf and word document with a link to the fully editable Google Slides presentation. 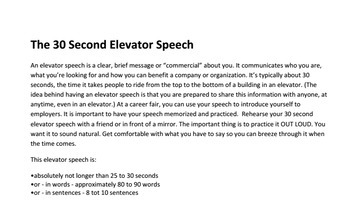 I have my students follow the short presentation and then write elevator speeches. Then they present them to the class as a speech.